According to the National Hydrology Meteorology Forecast Center, chilling temperature covers some places in the Northern mountainous region. Because of an impact of the cold front, medium- heavy downpours are forecast to hit the Northern and northern part of the Central regions with an avenge rainfall of 50- 100 mm within 24 hours. From this evening, showers, cyclones, thunderstorms, hails, lightning, powerful wind and rough sea are able to occur in the Gulf of Tonkin and the northern part of the East Sea. 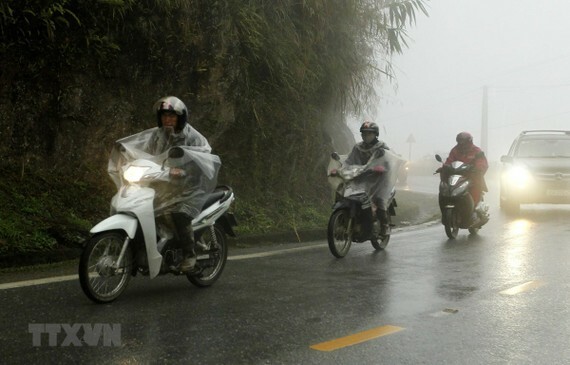 The same weather condition is warned in the mountainous areas from Quang Binh to Quang Ngai, the Central Highlands and the South- Central regions. 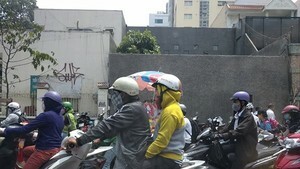 Meanwhile, the Southern region and Ho Chi Minh City face changeable weather of hot and rainy days. The highest temperature in the area could reach by 32- 35 degrees Celsius, even above 35 degrees Celsius in some places.